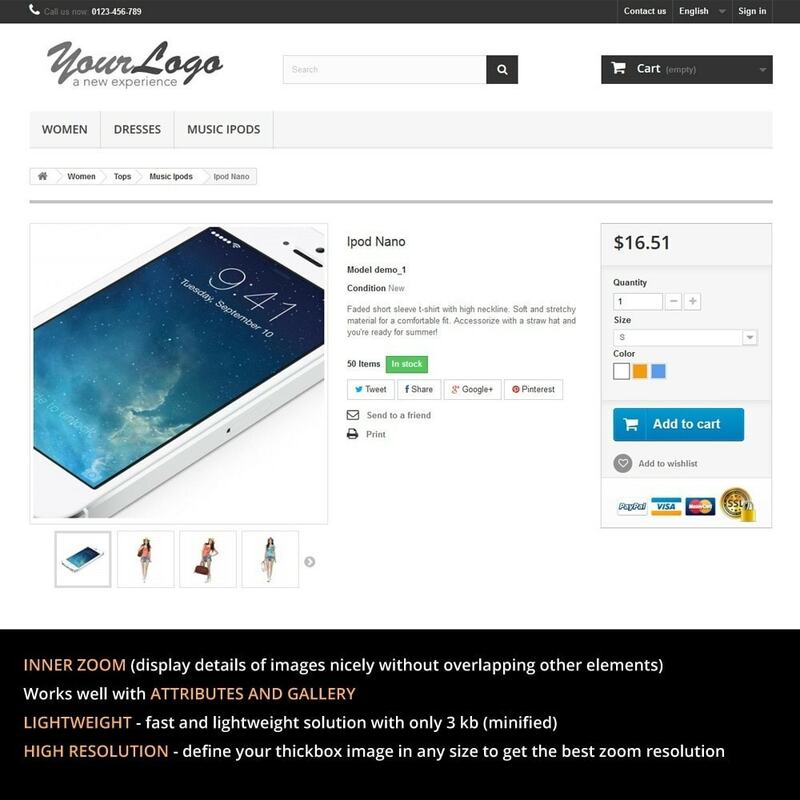 Simple but effective lightweight solution for zooming product images in order to display as many product details as possible. It uses inner zoom, so the enlarged image is diplayed directly in product image box and it's not overlaping other elements. 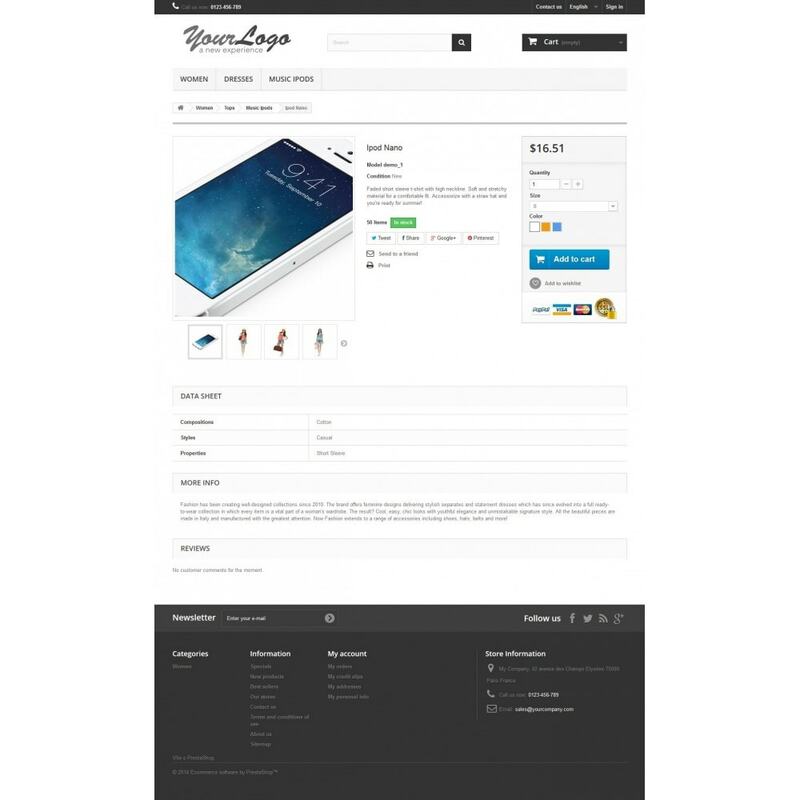 Customers can see details of all your product images, without clicking on them or navigation through gallery. Installation guide with screenshots is provided, but the installation is very easy. There is no configuration neccessary, just upload the module, click install and that's it!